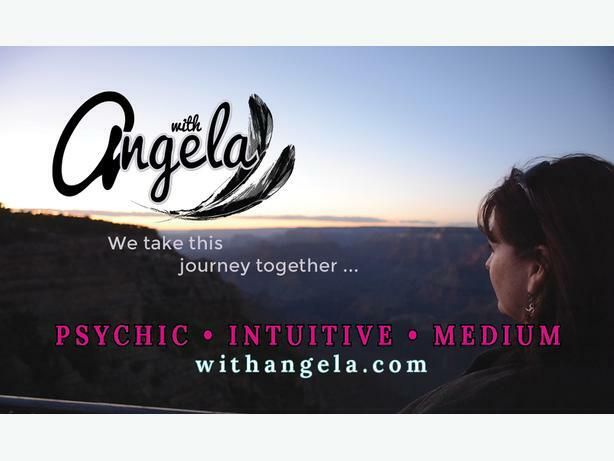 Beyond the deeply rewarding work she does through private/personal readings, workshops,public speaking and life coaching sessions, Angela's connection with Spirit has benefited others in numerous ways. Her work with the FIND ME group is one example. Based out of Phoenix, Arizona, this not-for-profit organization of Psychic, Investigative, and Canine Search & Rescue volunteers works together in locating missing persons and solving homicides internationally. As one of approximately 100 vetted Psychics relied upon by FIND ME, Angela supports law enforcement and families by creating opportunities for closure in what are obviously very difficult situations. Gift certificates for any occasion - unique for the holidays, birthdays, weddings and more!